Fighting- & Selfdefense Skills:Jiu-Jitsu (12 years) 1st Degree Black Belt. 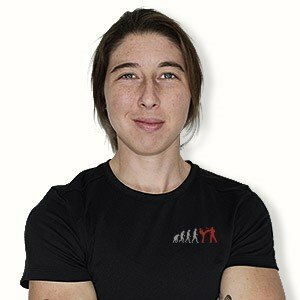 Showcasing an extensive and active background in outdoor education, horsemanship and self defence, Corie Jo began her journey thru Krav Maga with her sister in 2014. Prior to KM she obtained her Black Belt in Jiu-Jitsu and offered women’s self defence seminars at one of Canada’s Military bases. Krav Maga has lead to a simple and effective way to build confidence and develop the life skills and awareness in a world constantly changing. She has completed her Civilian Instructors Course (CIC) 2015, VIP Bronze and Silver Shield 2016 – 2017 and a Military Instructor Course (MIC) conducted in France at the French Foreign Legion in 2018.